Although there is very little in this shot to look at I still find it very alluring and the longer you look the more detail becomes apparent. 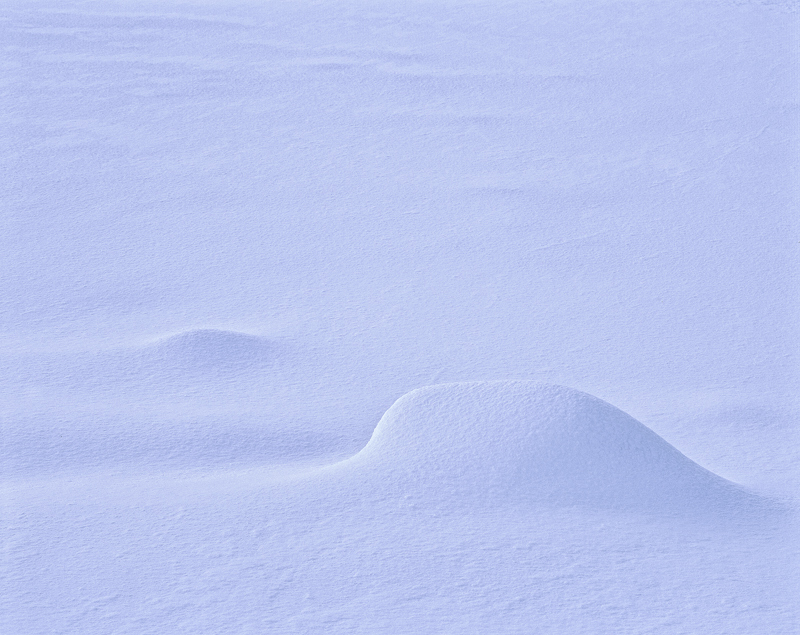 Without the twist of light on the edge of these snow mounds and the delicate underbelly blue of the shadows. I suspect my shot would dissolve away to nothing, never-the-less I seem to be able to appreciate this quiet, low contrast , high key shot, for a surprisingly long time.